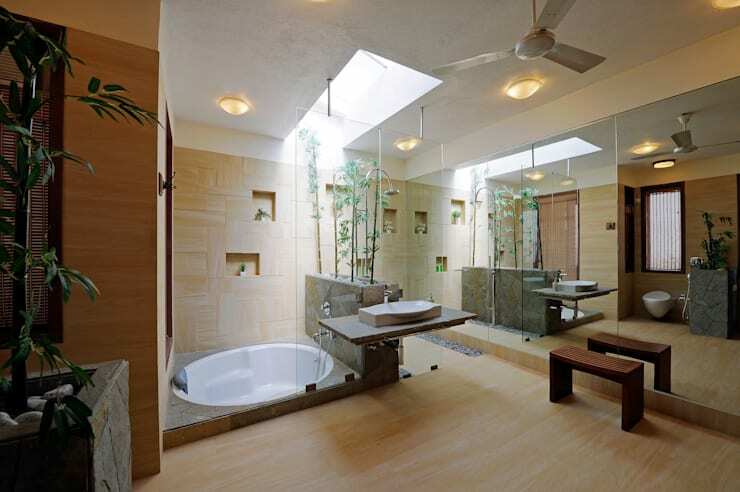 Asian architecture and design has been enjoying a surge in popularity within the international community. Amongst the myriad themes and traditions that inform the Asian aesthetic, it is the serene, uncomplicated, natural aspects that have really caught the world's attention. Nature has always been a big part of Asian design, so while green-friendly living and low-impact designs are often seen as modern catchwords, they actually reflect philosophical ideas that have been influencing Asian architects for hundreds of years. 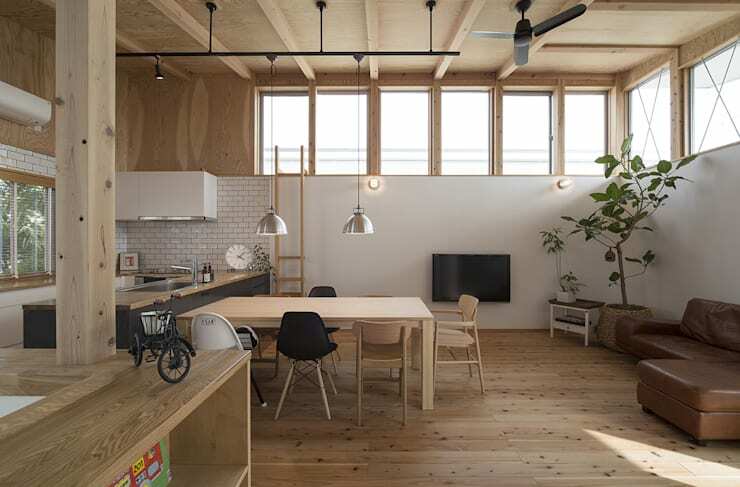 This light and airy home fuses traditional Japanese timber with stylish contemporary fittings. The high ceilings, industrial touches and architectural plants give the abode a timeless yet quirky class. This luxurious one-storey home by Jayesh Shah Architects covers a vast 10,000 square metres. It is perched on top of a hill with spectacular views of Pune and has multiple skylights and courtyards like the beautiful one shown here. 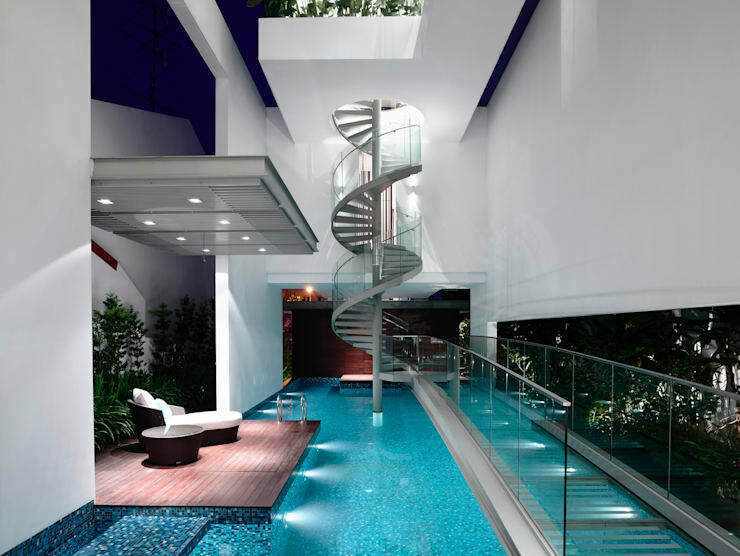 This extraordinary home comes to us courtesy of the Singaporean team Hyla Architects. The home has brilliant white decor and a clean, simple aesthetic. But it's the dramatic woven sliding doors that really capture our imagination. This is another design courtesy of Hyla Architects. The walkway we see on the right here is actually the entrance to the home! The spiral staircase leads to the living areas and an open portal on the top offers stunning views of this feature. 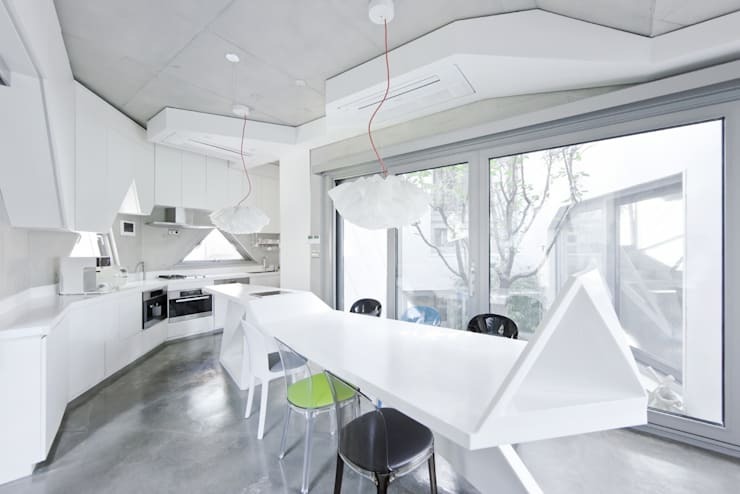 Korean architect Iroje Kimhyoman is certainly not afraid to incorporate triangles into his designs. This utterly unique kitchen belongs to a home he has designed. It's an octagonal home of course! No-one does tropical luxury like Asian architects. Here we have one of the many lazy living areas in Villa Tantangan. 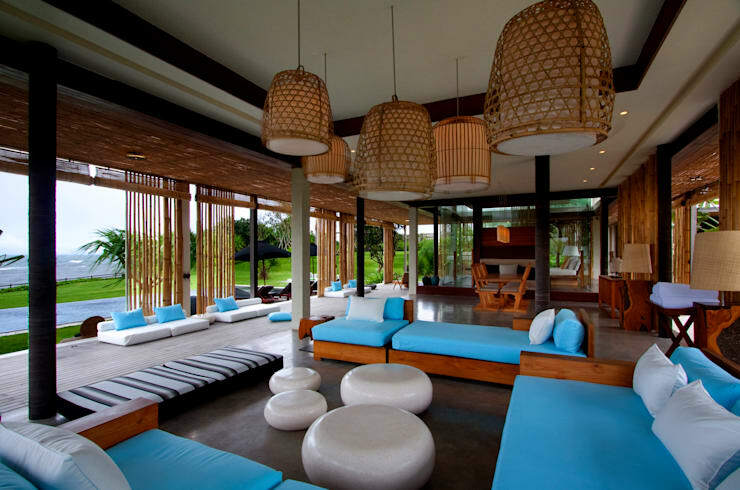 The home is located in Bali and it comes to us courtesy of Indonesian Architects Word of Mouth WOM . Hong Kong architect Ivan Cheng Design produces stunning contemporary Chinese designs that incorporate pieces from the Qing dynasty with European-style furniture. 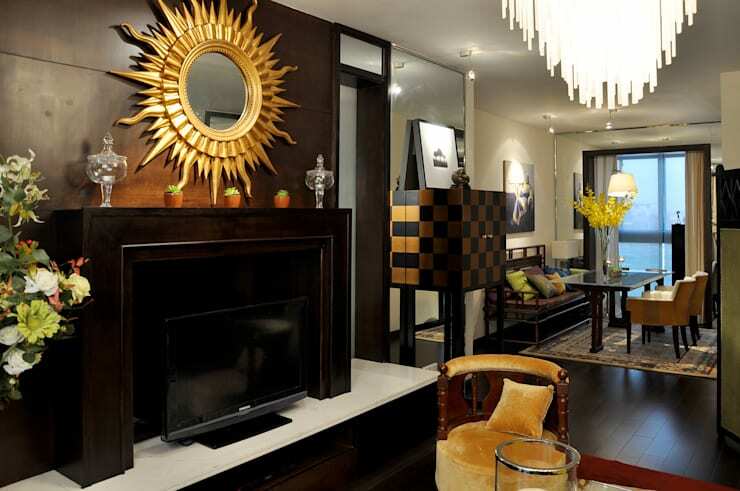 This home is located in Shanghai and is designed with lavish rich walnut floors. 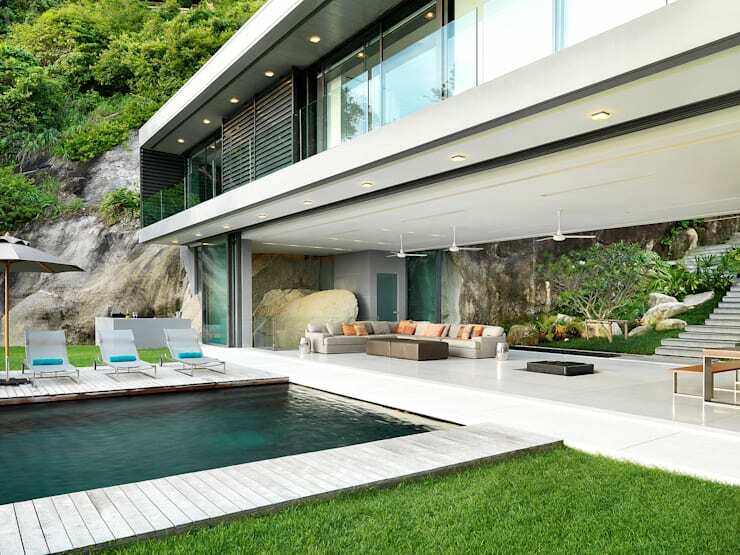 Thai designers Original Vision created this decadent clifftop home in Phuket. It cascades over multiple levels has redefined the relationship between interior and exterior spaces. This newly-built Japanese home was designed by Yoshida Architects Design Office. It reflects the deep Asian reverence for tradition and also incorporates lots of contemporary features. If you want to see more of the incredible Chinese home shown earlier, have a look at The Shanghai dream house. Which of these stunning Asian interiors is your favourite? 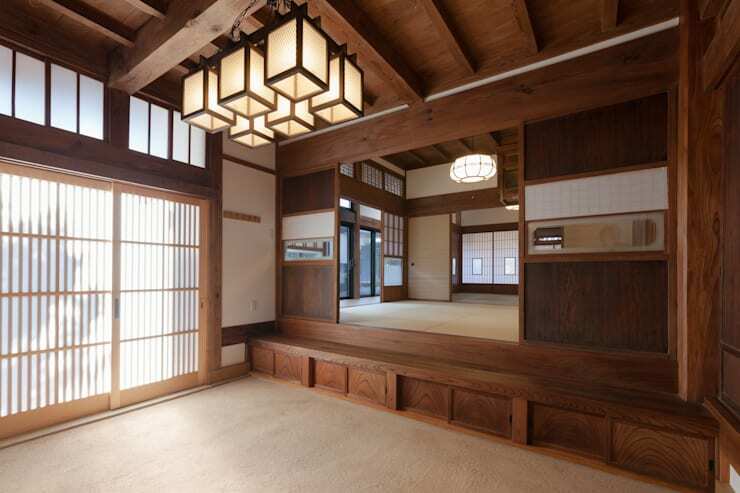 Are you a fan of Japanese architecture? Let us know in the comments!